Have you been planning to get a dash cam for your car? Here’s your chance! The Aukey 170˚ 1080p Dash Cam is the featured product of the month at Beyond the Box. Being the featured product for February, the Aukey 170˚ 1080p Dash Cam has a 10% discount throughout the month. Dashboard cameras, or dash cams, have quickly become a must-have for drivers. While the videos of the dash cams can be used to record the scenery of a long road trip, most videos have been used for accidents. The videos from dash cams are used as indisputable evidence, help in insurance claims, and sometimes even lessen conflict between the involved parties. The 170˚ 1080p Dash Cam has a Sony Exmor Sensor that captures super-sharp 1080p video with 170˚ field of view and optional in-car audio. Its Emergency Recording Mode is activated during sharp turns or sudden stops and automatically captures unexpected driving incidents. It is expandable up to 128GB of around 20 hours of continuous video, and its Loop Recording function allows continuous use by recording over old, unneeded footage. 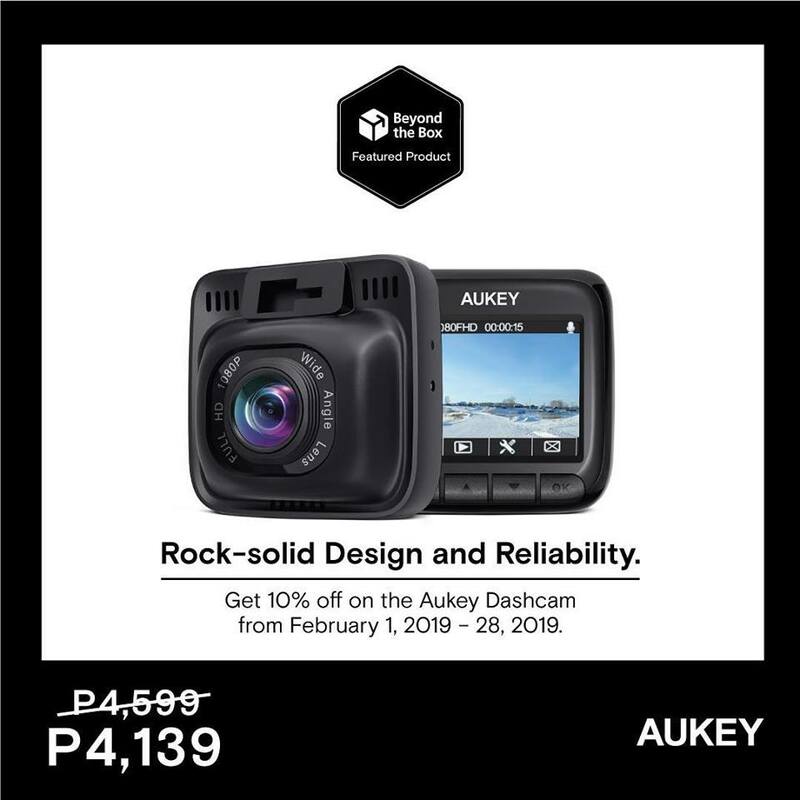 The Aukey 170˚ 1080p Dash Cam is available at Beyond the Box for PHP 4,139.00 (regularly priced at PHP 4,599) from February 1-28, 2019.